When I was five years old, my father took me on my first real bike ride. I was knee high to a grasshopper and weighed a little more than nothing. I was too young to have a bicycle, but I had a Big Wheel. And, boy, did I love my Big Wheel. I was on it almost every morning just before eating my Lucky Charms cereal and heading off to kindergarten. And as soon as got back home, I hopped right back on. It was my pretend motorcycle. My mom would walk me across the street to the apartment complex where my best friend, Randy, lived. Randy would cheerfully greet me on his Big Wheel. We would race each other around the brick complex over and over, each time creating new adventures: cops and robbers, firemen on our way to an emergency, or simply two five year olds racing each other back and forth until the sun went down. Until that fateful day, when my dad picked me up and sat me down in the square steel wire basket attached to the front of his sparkling olive drab Schwinn ten-speed, I’d just assumed the experience he was having on his bike was the same as I was having on my Big Wheel. But, when dad rode me down my first big hill and I felt my stomach crawl into my throat, heard the roar of the wind rushing past my face, and felt the tears roll down my cheeks as my wide eyes tried to take it all in, I was blown away. It was the speed, the thunderous sound of the wind, as I looked down through the basket and watched the front wheel making distance over the Tennessee roads – I was hooked. After my first ride on a real bike, riding my Big Wheel was never the same. It just wasn’t fast enough. From that day on, whenever I saw anyone riding a bicycle, my heart would start to race. My excitement was only muted when the rider just didn’t seem to be riding fast enough. “Why isn’t that person riding as fast has he can?” I would wonder. Today, I turn 47 years old. 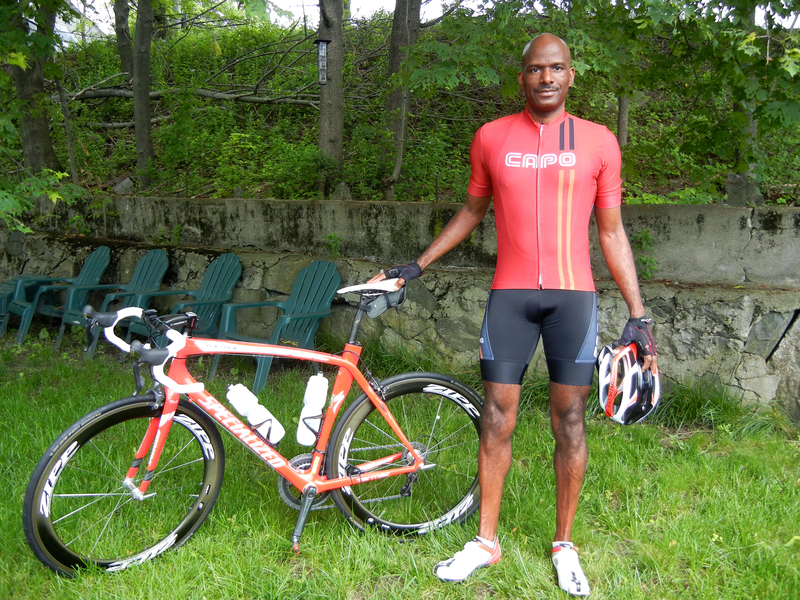 Just as it was 42 years ago, from the moment I hop on my favorite road bike or mountain bike, I want to go fast. I want to go fast from the moment I get on the bike ‘til the moment I step off or fall off from exhaustion. When I see others riding slowly, I still don’t fully get it, but I try to respect their experience. And when someone zips past, going faster than me, my heart sings with the joy of what I believe he/she is feeling. Last year I was fast. This year, I’ll be even faster. If there are any Rev. Dr. Hycel B. Taylor’s sermons out there…it would be great to hear the lessons for life again. I hope to get a reply.